After the huge success of Cruising with Jane McDonald earlier this year the cruising legend is back for series two where she is set to explore more amazing ships and exotic destinations. The four-part travel show will see Jane set sail for a second time with MSC Cruises, the world’s largest family-owned cruise line, this time to explore the sights and scenery of the Mediterranean onboard the Company’s brand new flagship MSC Meraviglia. The ship which can hold up to 5,714 guests at full capacity is over twice the size of the ship Jane worked on-board when she shot to fame back in 1998. Her 7 night stay on board the ship, which first came into service in June 2017, will see her embark in Naples and explore destinations including Messina, Valetta, Barcelona, Marseille and Genoa as she tries local food and drink, and explores and entertains, by taking part in a variety of activities. MSC Meraviglia, which means ‘Wonder’ is the biggest ship to feature in either series of the successful show, and the second MSC ship Jane has sailed on with the presenter visiting MSC Divina in series one. “There is no better way to challenge stereotypes and demonstrate how fantastic cruising is for all ages, than to physically show people and this popular TV series does just that. The show is fantastic for the industry as a whole as it raises awareness of cruising as a holiday choice for everyone, and illustrates the accessibility and affordability of cruising as it is today. MSC Meraviglia is currently sailing in the Mediterranean until April 2018 when she will re-locate to Northern Europe where her home port will be Hamburg. MSC Meraviglia will make her UK maiden call on 26th April 2018 where she will call at Southampton. The ship, which is the first of 11 new ships ordered by Europe’s biggest cruise line is a purpose built smart ship with innovation at its heart. 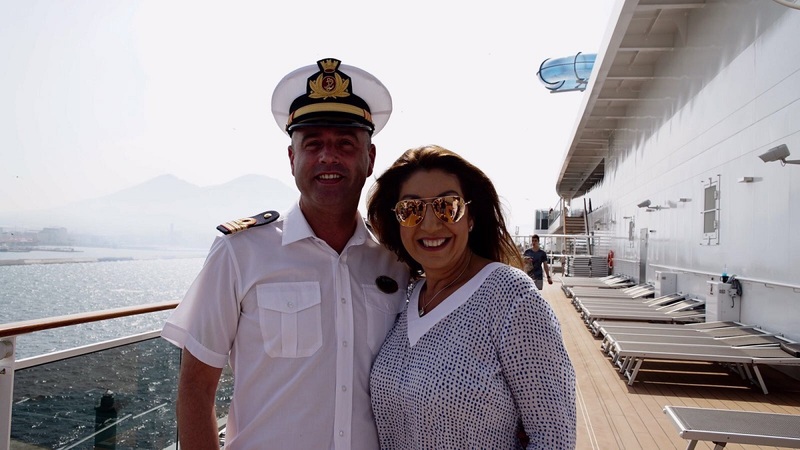 Cruising with Jane McDonald series 2 starts on Channel 5 on Friday 1st September, with the episode featuring MSC Meraviglia set to air on the 15th September.